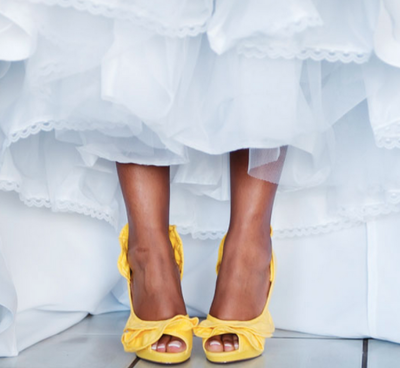 Brides often make their wedding ‘their own” through use of color. 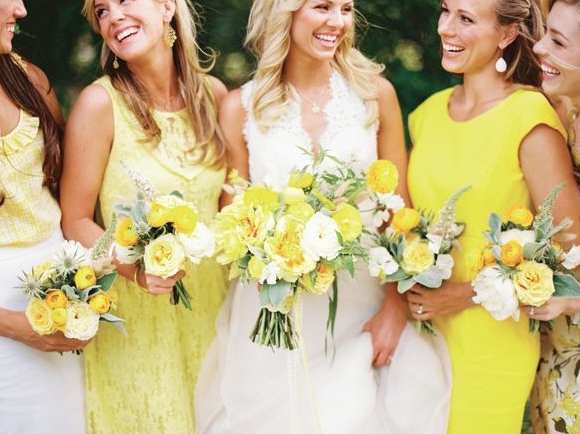 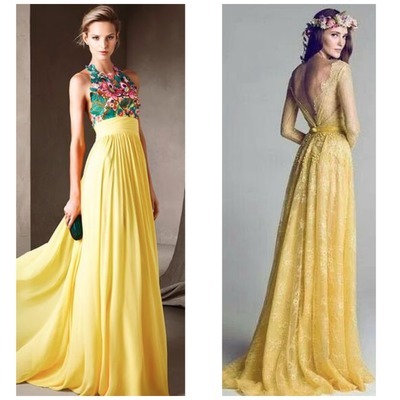 Yellow is a great color for a summer wedding it’s associated with joy, happiness, cheerfulness & fun. 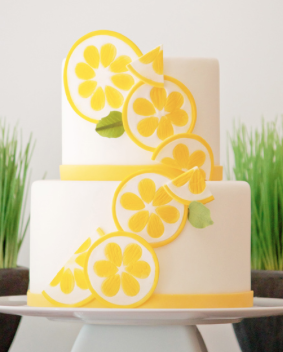 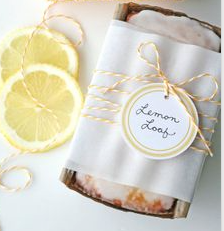 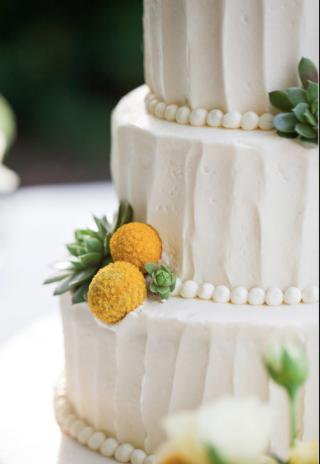 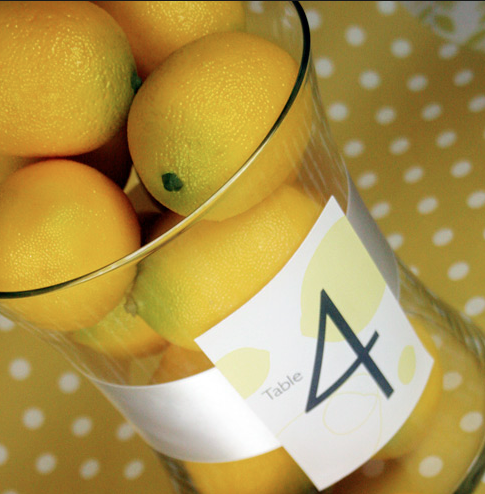 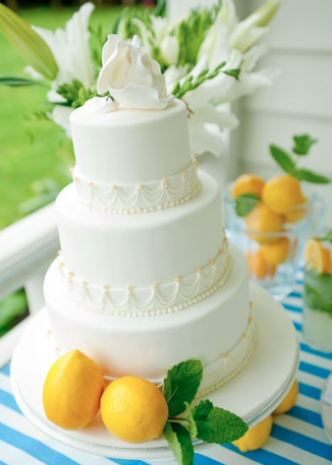 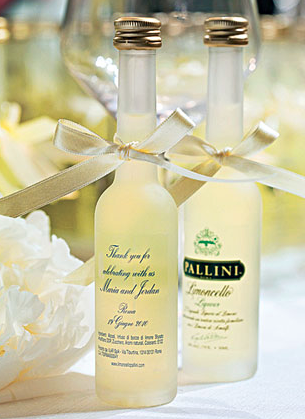 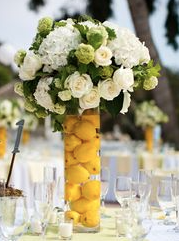 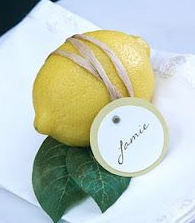 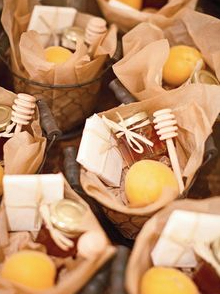 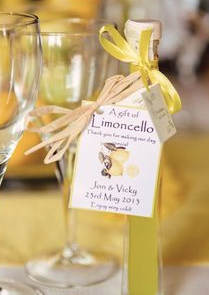 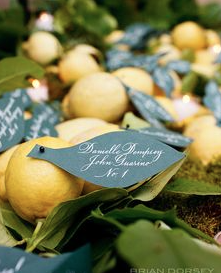 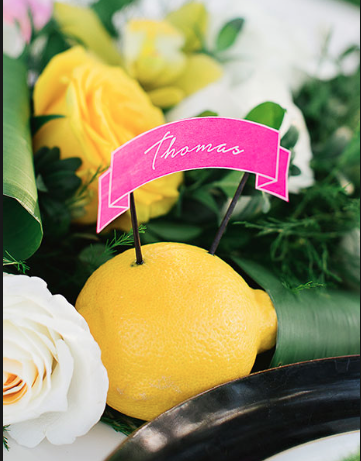 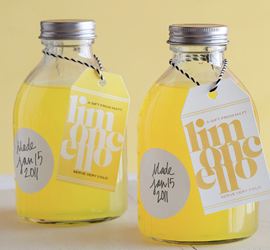 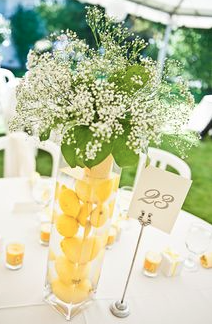 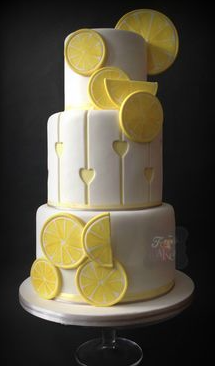 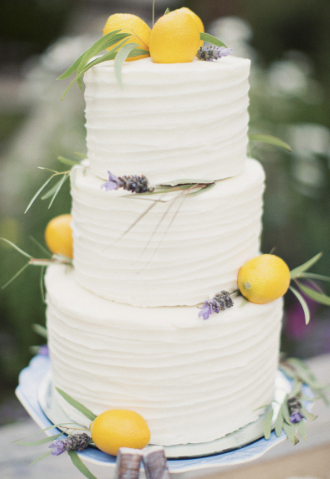 Going along those lines, adding a Lemon Theme is daring, bold and creates a surprise element to the wedding. 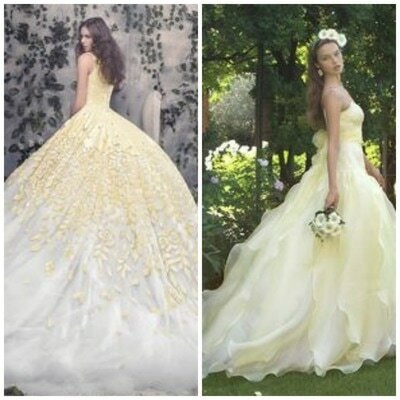 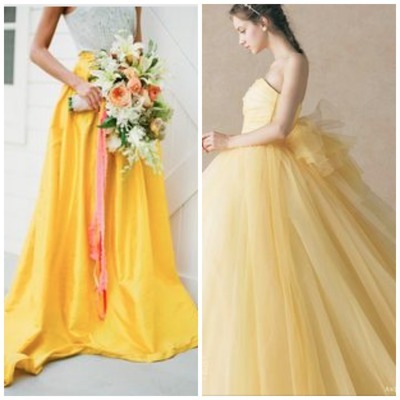 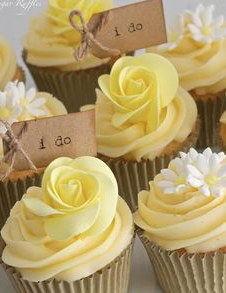 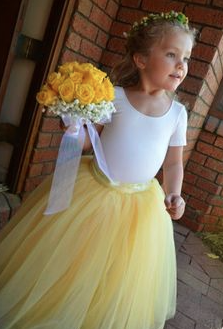 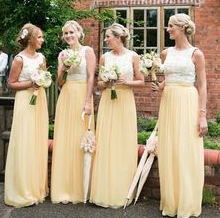 Following the idea of this theme, imagine walking down the aisle in a Yellow Wedding Gown. 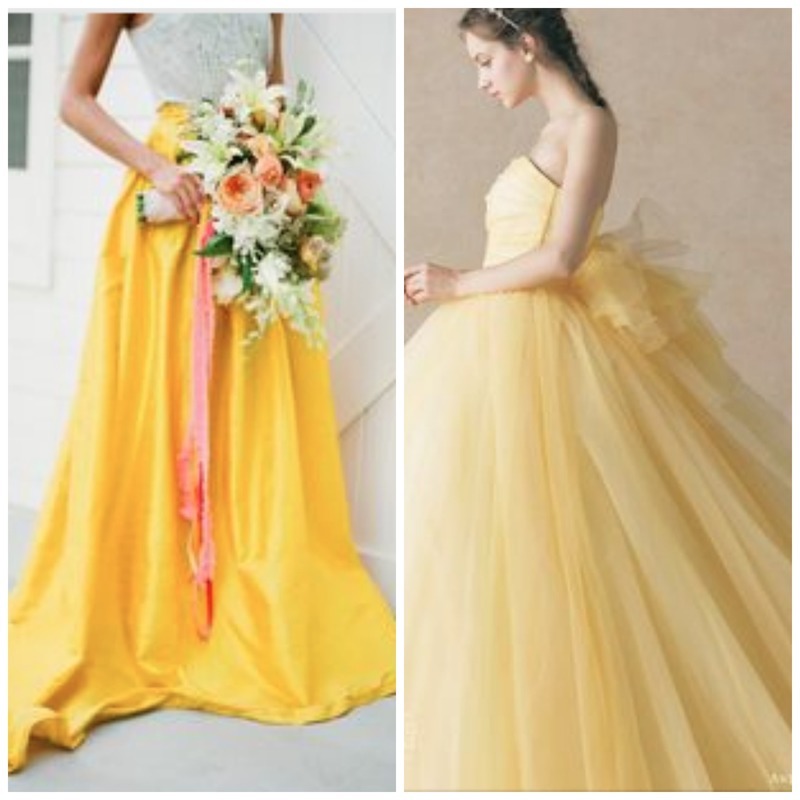 A muted yellow dress moves closer to wearing an Ivory dress in consideration to your family who would like the traditional or going bolder, can mean a brighter, yellow or the use of print or pairing yellow with another bold color like navy or purple. 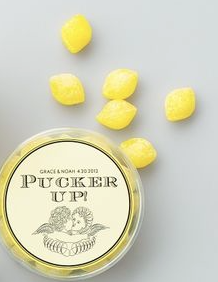 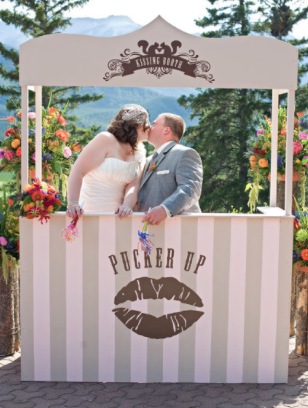 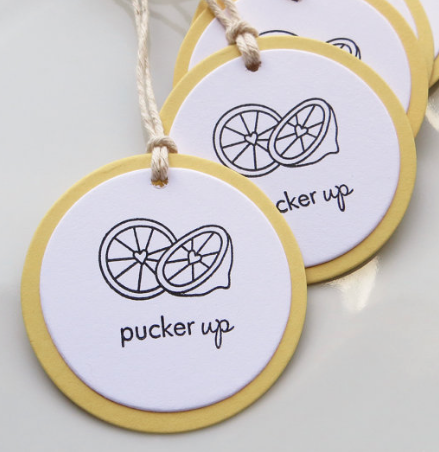 Imagine all the “Lemon Theme” ideas you would have, lemon drop as your ‘signatue’ drink or creating a lemonade stand, And can you even imagine what you would do with a photo booth using the “Pucker Up” theme. 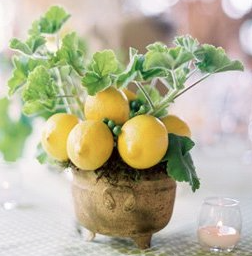 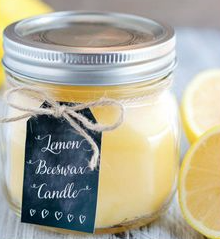 Plus, lemons create beautiful fresh aroma and wouldn’t a lemon soap or candle as a favor help enhance the lemon aroma as well as including lemons in your centerpieces and décor. 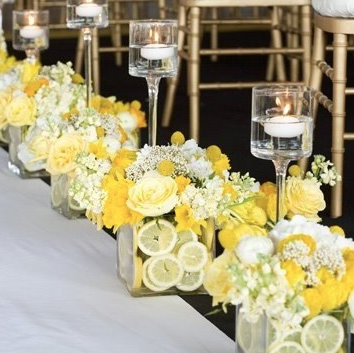 A “lemon themed” wedding is ready made for a garden, outdoor or rustic wedding but can be equally as appealing for an indoor wedding just by styling it to meet the look of the venue. 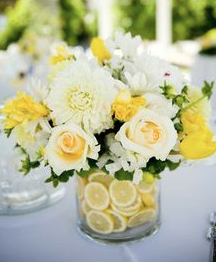 Yellow can be combined with most any other color to set the mood. 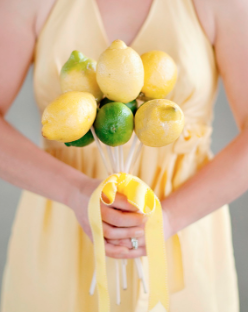 If you are going for the sunny yellow with red or turquoise creates an event bolder statement whereas a muted yellow with gray creates a subdued color, In this case taking lemons and rolling them in sugar gives the lemon a muted look to fit that theme style. 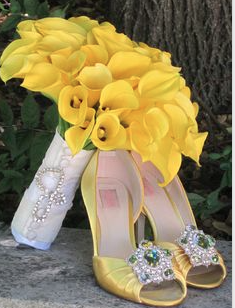 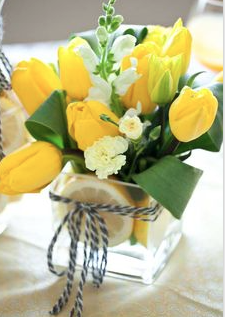 To really class it up go with muted yellow with white and add black for a more formal classy wedding.